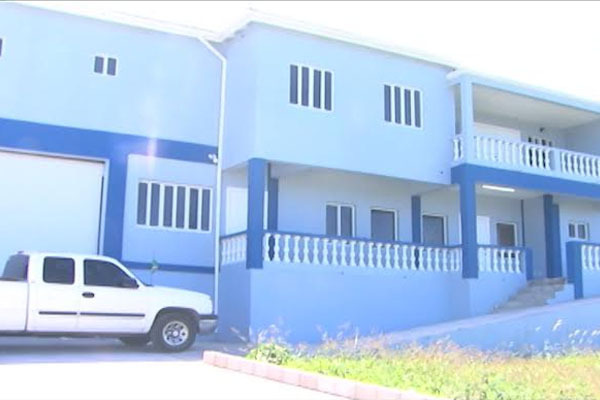 ZIZ News — Through the joint efforts of the Government of St. Kitts and Nevis and the Government of Mexico, the village of Tabernacle has a new police station. The opening ceremony took place yesterday alongside the two-story construction. Commissioner of police C. G. Walwyn expressed gratitude to both governments on their vision and spoke of the benefits of the new building to the community of Tabernacle. “Police officers will live here and they will be available to their community 24 hours a day. The fire services will also be moving into the building and they will be here in this community,” he said. His Excellency, Ambassador Louis Manuel Lopez Moreno further outlined the contribution of the Mexican government. “This is the second one. We contributed to the building of one in Dieppe Bay. That was in 2011. I’m happy that we’ve finished this project that is very important for the Mexican cooperation and the friendship with St.Kitts and Nevis,” he said. The cutting of the ribbon took place followed by the blessing of the building and a guided tour.